A medium-sized tree to 45 feet tall and a trunk to 2 feet in diameter, with an oval crown. From the Dallas area to Central Texas and west to the Edwards Plateau, on rocky limestone hillsides, bluffs, and ridges. Opposite, compound, 5" to 8" long, with 5 oval or round leaflets arranged pinnately; leaflets are long-stalked and 1" to 3" long. 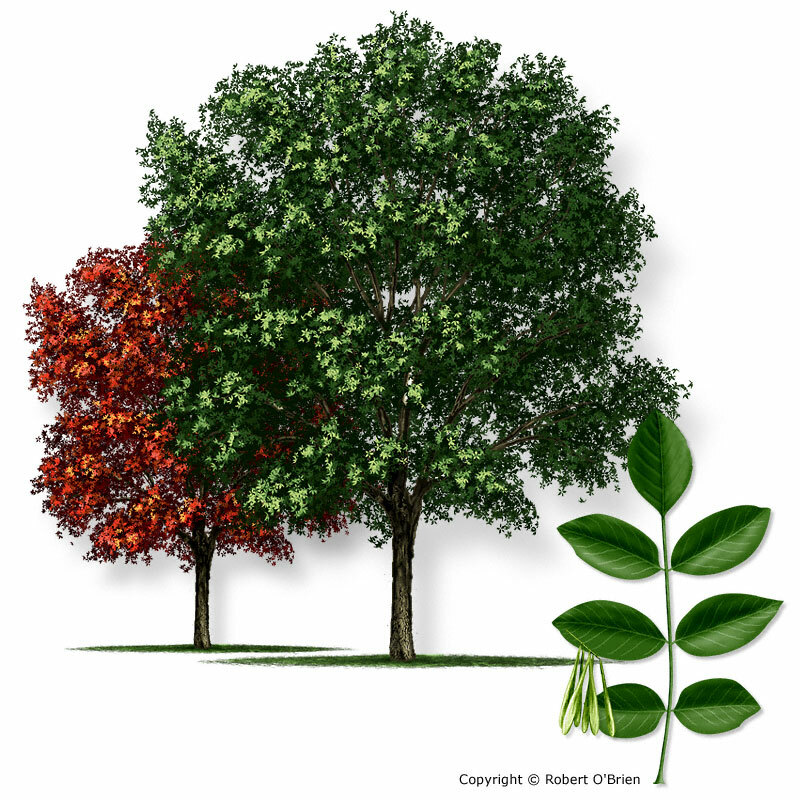 Leaf color is dark green on top, much lighter below, usually turning brown in early fall. Male and female flowers borne on separate trees. Female flowers in loose clusters appearing with the new leaves; male flowers appear as dark, purplish clusters near the end of the twigs, often before the leaves. A slender, pointed seed enclosed by a flattened wing, or samara, about 1" long and up to 0.25" wide; fruits are borne in loose clusters connected by short stalks. Gray, with brown or black blotches, furrowed, with the interlocking flattened ridges common to the ashes on older trunks. Wood is light colored, with brown heartwood, and has been used for firewood and flooring. Carolina ash (Fraxinus caroliniana) is confined to wet areas and streambanks in East Texas; Gregg ash (F. greggii) has small leaves and is found only in riparian areas of far West Texas.